I tore this recipe out for Peanut Butter Blondies from a 2009 issue of Family Circle Magazine, and I finally gave the recipe a try last week. I made a few tweaks to the original recipe. I didn't use shortening, and instead used butter. I also did not bake in two 13x9x2 inch baking pans, but instead I poured all the batter into one 13x9 pan, and I halved the frosting recipe. If you love peanut butter, you'll love this recipe. Two of my sons thanked me for making this dessert, claiming it was so yummy and one of the "best desserts" I ever made. I however, felt like it was missing something - chocolate! Next time I'll stir in some chocolate chips, or make a chocolate frosting. In a separate large bowl, combine butter, peanut butter and brown sugar. Pour batter into prepared 13x9 pan. Bake at 350 degrees F for 25 to 30 minutes. Meanwhile, make frosting by combining confectioners sugar, peanut butter, butter, salt, and vanilla. Stir in hot water a little at a time and mix until smooth. 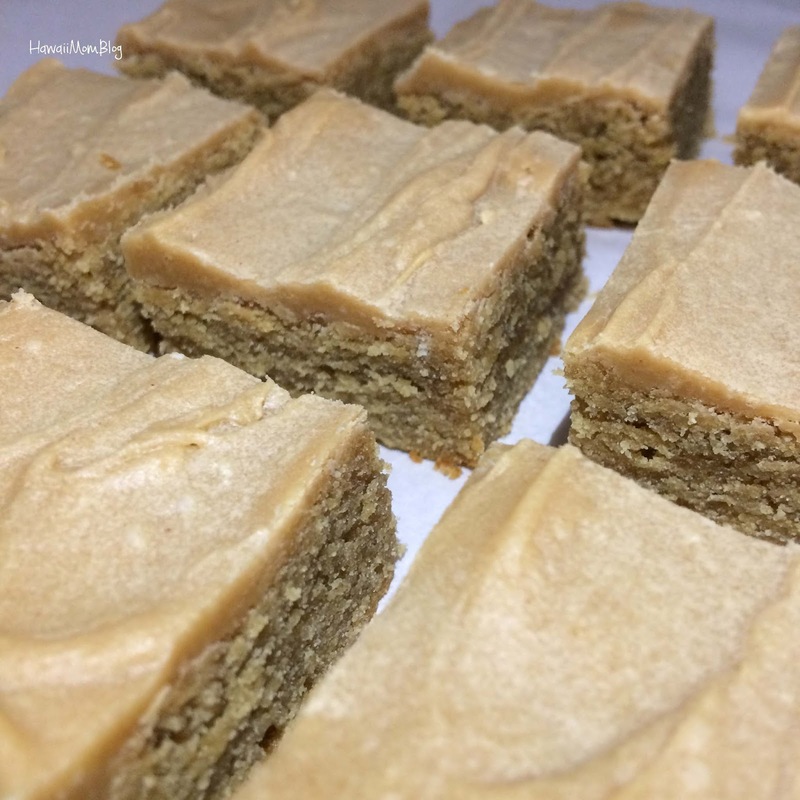 Spread frosting over blondies as soon as they are done baking.